Kennedy’s Row | Historic Jacksonville, Inc.
Carefree Buffalo at 150 W. California Street in Jacksonville was originally part of “Kennedy’s Row,” a block of shops owned by the first elected sheriff in Jackson County. Kennedy ran a “tin shop” at this location, which he sold to John Love and John Bilger in 1856. Sometime before 1861, Love and Bilger replaced the original wooden structure with the present stone and brick building. 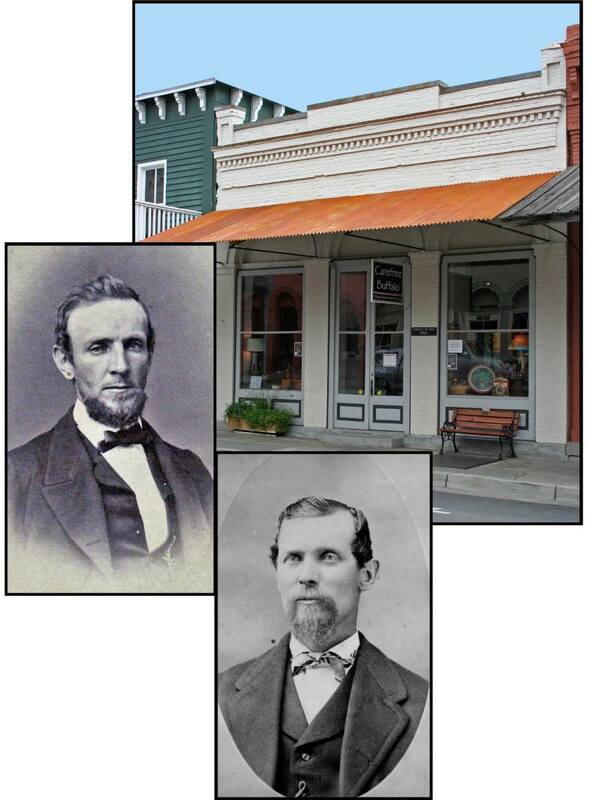 When Love died in 1869, Bilger continued to run the business, becoming one of Jacksonville’s wealthiest merchants. When Bilger died in the cholera epidemic of 1877, his wife, Amanda Schenck, took over the hardware store. By the mid-1880s she had expanded into manufacturing in partnership with a Mr. Maegly. Bilger and Maegly became one of the leading suppliers of agricultural machinery and implements in Jacksonville.